Journey through the fascinating history of Hollywood movies at Disney's Hollywood Studios, which offers thrilling rides such as The Twilight Zone Tower of Terror™ and Rock ‘n’ Roller Coaster® Starring Aerosmith, as well as live shows and attractions, including the Indiana Jones™ Epic Stunt Spectacular, Who Wants to Be A Millionaire – Play It!, Voyage of the Little Mermaid, Beauty and the Beast – Live on Stage, Star Tours and The Great Movie Ride. Annual events at Disney's Hollywood Studios include Star Wars Weekends in May and June and ABC Super Soap Weekend in November. A Tribute to the Golden Age of Televison: Strike a pose and snap a picture next to past and present television greats. Celebrate the icons of the small screen at this open-air gallery that is home to meticulously detailed bronze busts of some of your favorite TV stars. Open all day, this delightful exhibition is easy to navigate and offers a relaxing retreat for fans of both classic and contemporary television. View one-of-a-kind movie props and costumes from some of your favorite films at this walk-through exhibit. The Great Movie Ride® at Disney's Hollywood Studios in Orlando Florida. Take a fun-filled trip through the history of American film and place yourself in classic scenes from The Wizard of Oz, Casablanca, Singin’ in the Rain, Raiders of the Lost Ark, Alien and more! Climb, crawl and explore a bug-sized world at this interactive kids play area inspired by the hit Disney movie. Embark on an adventure at sea with Captain Jack Sparrow—now open at Disney’s Hollywood Studios. Inspired by the popular Walt Disney film series Pirates of the Caribbean, The Legend of Captain Jack Sparrow immerses you in all the action—so you’ll feel like you’re part of the crew. Discover how Disney characters are brought to life during a show starring Mushu from Mulan, and a hands-on exhibit. Experience the magic of the Muppets during a hilarious, eye-popping film and live-action extravaganza. Experience a madcap adventure with Kermit, Miss Piggy and the rest of the Muppet crew, and enjoy incredible special effects during this highly entertaining 3-D movie. 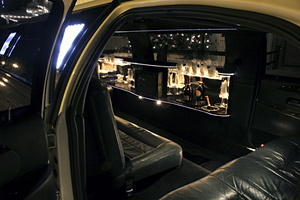 Blast off in a super-stretch limousine through the darkened freeways of Los Angeles to the rockin’ tunes of Aerosmith. Feel the power of the Force during a 3D, motion-simulated space flight that launches you into the world of Star Wars. Journey aboard an intergalactic simulator for a wild ride through outer space as a Jedi Knight out to destroy the evil Death Star. Go behind the scenes to see how special effects in movies are made during this exciting pyrotechnic show and tram tour. Take an entertaining and educational tour that lets you in on some of the secrets of film production. View amazing special effects, tour movie sets and experience the thrill of a lifetime at Catastrophe Canyon. Ride and shoot moving targets at this midway-style, 4D shootin’ game starring your favorite Toy Story characters. Hurtle up and down into the Twilight Zone aboard a haunted elevator. Take a spooky tour through the corridors of a rundown Hollywood hotel that culminates with a thrilling, 13-story plummet into the abyss – not once but twice! A multimedia gallery exhibit of rare artifacts and an inspiring 15-minute film bring the story of Walt Disney to life. Beauty and the Beast – Live on Stage at Disney's Hollywood Studios in Orlando Florida. A Broadway-style musical production, Beauty and the Beast features many of the songs and wonderful characters from the hit Disney movie, including Belle, Lumiere and Gaston. Fantasmic! at Disney's Hollywood Studios in Orlando Florida. Indiana Jones™ Epic Stunt Spectacular at Disney's Hollywood Studios in Orlando Florida. Witness thrilling motion-picture adventures during this popular 35-minute stunt spectacular, which takes place in a 2,000-seat, outdoor amphitheater. You may even get selected to be an extra in the show! Playhouse Disney – Live on Stage! at Disney's Hollywood Studios in Orlando Florida. Meet all of your favorite characters and sing along with all of your favorite Playhouse Disney friends, including Bear in the Blue House, Stanley, Rolie Polie Olie and Winnie the Pooh. Voyage of the Little Mermaid at Disney's Hollywood Studios in Orlando Florida. A great live show based on the hit animated film, Voyage of the Little Mermaid features live performers, animation, puppetry and great special effects to highlight the heartwarming story of Ariel and her undersea friends, including Flounder, Sebastian and Scuttle. The American Idol® Experience – Play It! at Disney's Hollywood Studios in Orlando Florida. Could you be the next American Idol? Be a part of this exciting daily competition to find a rising star! .